After several weeks of crushing mint leaves in the mortar and pestle, we have now moved on to having tea with a friend! We have hot water (hot tap water) in thermal carafe on a table along with tea cups, saucers, mint leaves and a mini French press. 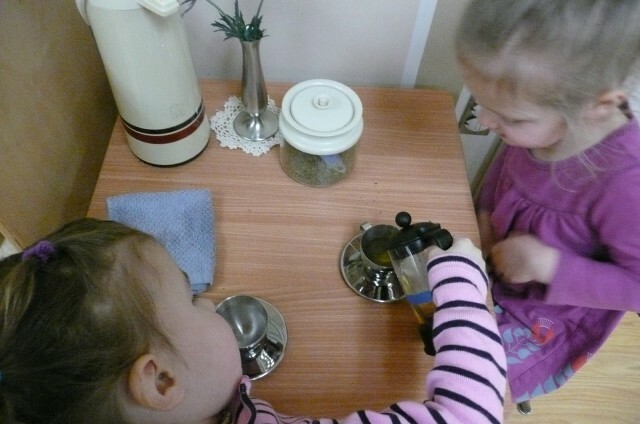 The child who invites the friend puts a scoop of mint and then two pumps of water in the press. They wait a bit and let the tea “steep” while having a chat. We have show them that the water turns light green. 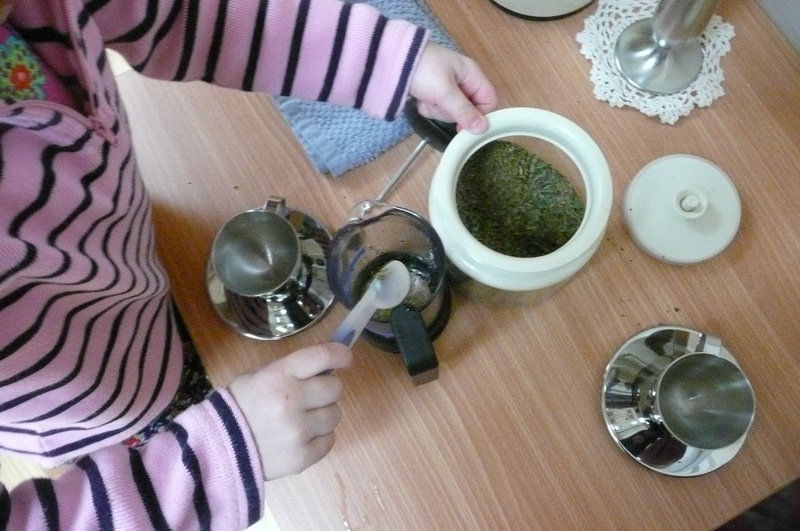 Once the tea is ready, the tea is poured into the guest’s cup first. Then enjoy! 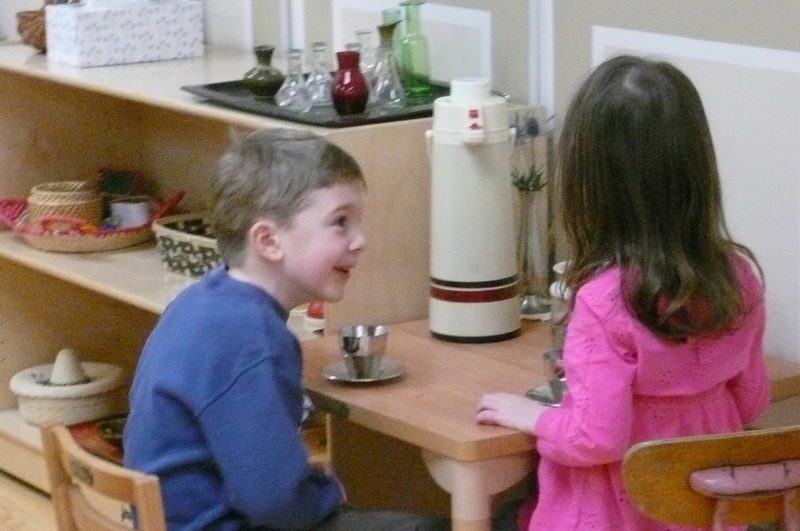 The children love to engage in conversations while having tea!